Ahead of its official launch later this year, Mercedes-Benz announced Wednesday at the New York Auto Show the EQC Edition 1886. Like other Mercedes special editions, this EQC is expected to be lavishly appointed and covered in little reminders you’re an early adopter. 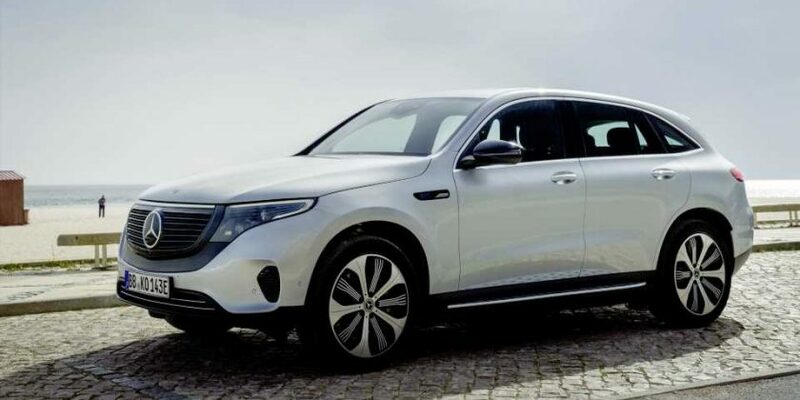 The EQC itself is a direct rival to the Audi E-Tron and Jaguar I-Pace, both of which were unveiled last year, as well as the Tesla Model X. Mercedes’ contender to the luxury EV crossover race is set to go on sale in 2020. The exclusive appeal continues in the interior with the new seat designs with upholstery in MB-Tex / DINAMICA microfiber in Indigo Blue and Black. Special EQC Edition 1886 lettering is embroidered into the seat backrests and center console. This level of detail is also evident in the specific trim elements in a silver matrix look as well as the floor mats with the “EQC” embroidery. The EQC Edition 1886 also has outstanding driver assistance systems for the highest level of safety and driving comfort. The Burmester® Surround Sound System provides remarkable sound and fully comes into its own in the extremely quiet interior of the EQC. The ENERGIZING Package is also on- board. ENERGIZING Comfort combines various systems in the car, thus creating an optimal environment from the lighting mood and the fragrance and ionization of the air to the seat ventilation to keep the user fresh and vitalized. The ENERGIZING COACH feature uses data from the vehicle and surroundings to recommend one of the ENERGIZING programs that fits the situation and the individual. For example, aspects such as the traffic situation, weather and length of the journey are included in the assessment. In addition, data that provides information on the driver’s current well-being can also be used. This is made possible by networking with available Garmin® wearables (smart watches/fitness trackers). Further optional extras such as electric adjustable driver and front passenger seats with memory function round out the Edition package.